Last year we reviewed the TomTom Pro 5150 which is TomTom first attempt at a Trucking designed sat nav unit that you can actually use. The honest answer is that it's a good model that comes with some decent features, however the problem comes when you start comparing it against the competition such as the Garmin Dezl 760LMT Truck Sat Nav which is substantially better model and during our test's that we ran last year, out performed everything else. 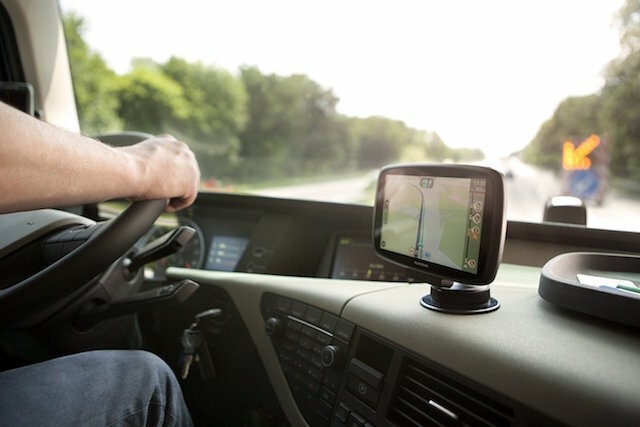 In the last year, TomTom have gone away and put together a whole new TomTom Trucker Sat Nav Series that has been designed for truckers and lorry drivers. We have spent some time testing the model and whilst we're still not convinced it's better than the Garmin, it's a massive improvement that appeals to TomTom sat nav lovers and I am sure will be bought by the masses. 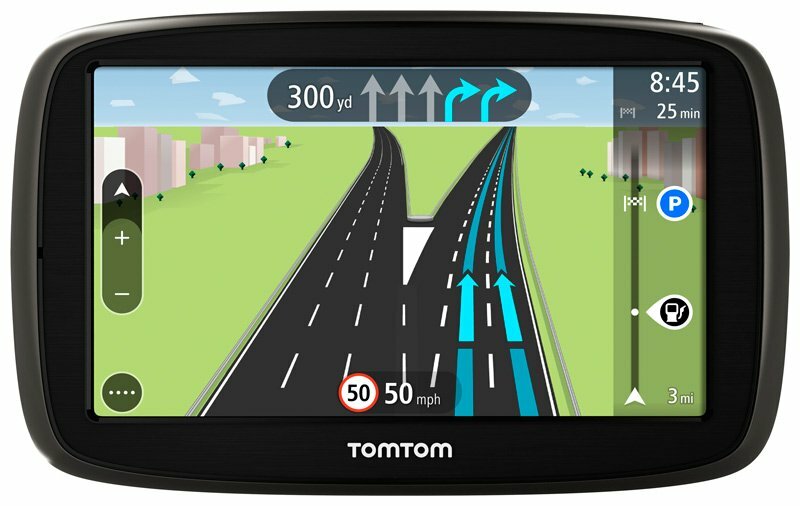 The Tomtom Trucker Satellite Navigation System entered the sat nav market in early 2016 and has been specifically designed for truckers and comes pre-loaded with crucial information that will make life a bit easier for commercial truckers given that it comes with full trucking optimised routing for the UK and 22 European countries and full road maps for a further 45 European countries. The TomTom Trucker model comes in two sizes, the 5000 which comes with a 5 inch screen and the 6000 which comes with a 6 inch screen, however we would recommend that you opt for the 6000 given that you're going to need a larger screen for your truck. 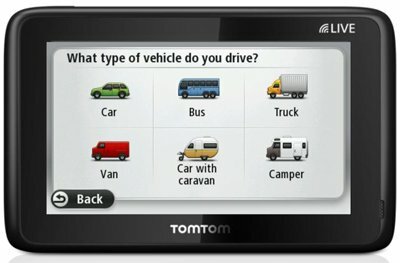 As with all TomTom's the menu system is easy to use and allows you to simply enter your destination, customise your sat nav for your specific truck and choose from customised routes that take into account your trucks size, weight, cargo and speed all to help your journey as efficient as possible. Customised Truck Routing - Trucker 6000 features pre-loaded detailed maps of 45 European countries and includes truck restrictions and other related information for most highways and major roads. The system allows the driver to input specifications of his truck and load; such as weight, height, width, length and hazardous material and speed. Trucker 6000 matches your specs with the selected route to save you fuel, money and time. Customised truck routing eliminates guess work, giving you a practical arrival time. MyDrive Pre-planning - trucker allows you to customise your routes by importing specific points of interest from your favorite network into MyDrive on your computer, smartphone, or tablet. This will enable you to access all your content from your TomTom 6000 Trucker. You can add your favorite stops or roads and sync the routes to your truck satellite navigation. This will make it easier to pre-plan routes as you wish. Lifetime Truck Maps - Truck Map ensures that the trucker always drives with the latest truck map for more efficient route planning and accurate arrival times. You can download up to four truck map updates per year (with no monthly charges or maintenance costs for the lifetime of the device) to avoid unpleasant surprises on your journey. A combination power cable/traffic receiver in the device gives you 100% subscription-free traffic updates for the lifetime of the device. TomTom Traffic and Speed Cameras for One Year - TomTom 6000 Traffic offers incredibly accurate traffic information, in real time. It helps you know where traffic has slowed down and the cause. If there is a truck-friendly alternative route, the device will re-route you around the traffic. In fact, what you see on your 5” capacitive touch screen is what you will find on the road. The touch screen features the Pinch and Zoom Technology. The satellite navigation device comes with a built in SIM card that enables the driver to get live TomTom services. No roaming charges. Speed camera alert will help you avoid unnecessary fines. The device “knows” the exact positions of both mobile and fixed speed cameras across Europe. The camera alerts will give you enough warnings to slow down in time. TomTom 6000 Traffic offers incredibly accurate traffic information, in real time. It helps you know where traffic has slowed down and the cause. If there is a truck-friendly alternative route, the device will re-route you around the traffic. In fact, what you see on your 5” capacitive touch screen is what you will find on the road. The touch screen features the Pinch and Zoom Technology. Overall we do like the The TomTom 5000/6000 Truck Satellite Navigation Device given that it features a magnitude of options and features that have all been design to help you get your truck from A to B in the shortest possible time. We love the fact that the Trucker can adapt to your different vehicle whether it be a truck or large van, HGV, bus or even a campervan whilst at the same time offering relevant points of interest that you can customise to suit your needs. We also love the performance which cannot be complained about, but what TomTom lacks and what really makes the difference is that Garmin still offers free traffic updates and free speed camera updates for the lifetime of the unit, whilst TomTom only offers this for one year which is simply not enough value for money for me. Great sat nav, but the Garmin Truck Sat Nav is still a better model.